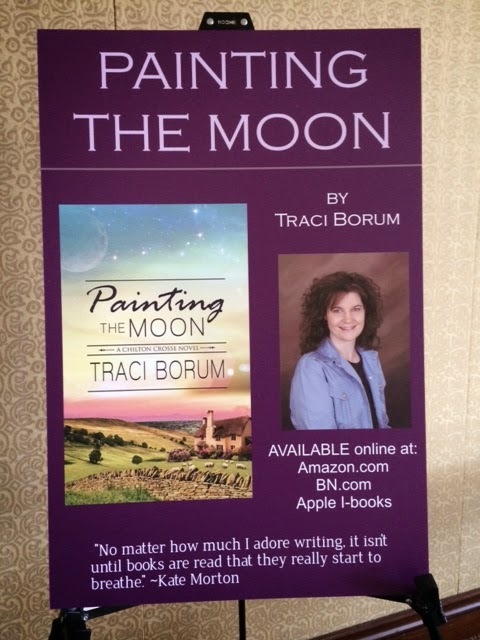 Traci Borum: My Very First Book Signing! So, yesterday, my grandparents, mom, and sister hosted a book party and signing for me. It met all my expectations. It was busy, fun, exciting, and productive (lots of books sold!). More than anything, it was amazing to hug and chat with such supportive people. My family and close friends. They're my cheerleaders, my biggest "fans." Seeing their support together in that room reminded me of how blessed I am--that after years of trying to get published, it finally happened. These are my precious grandparents. They hosted the event at their building. Love them so much! 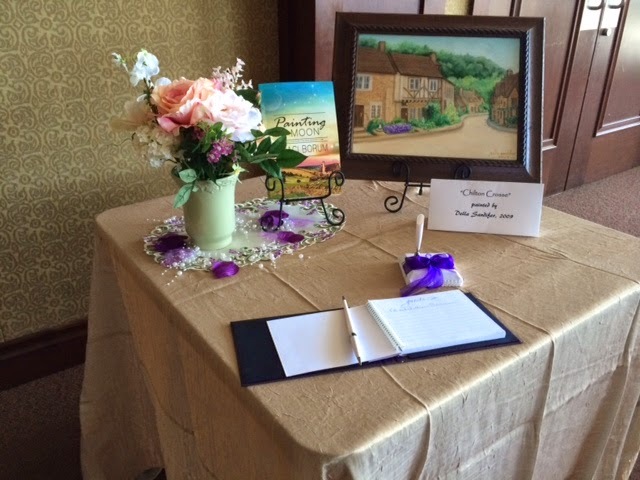 Here's the front table -- that's my other grandmother's painting of "Chilton Crosse," the village in Painting the Moon, painted as a surprise for me in 2009. I thought it deserved a special place at the party! And here's the cake! 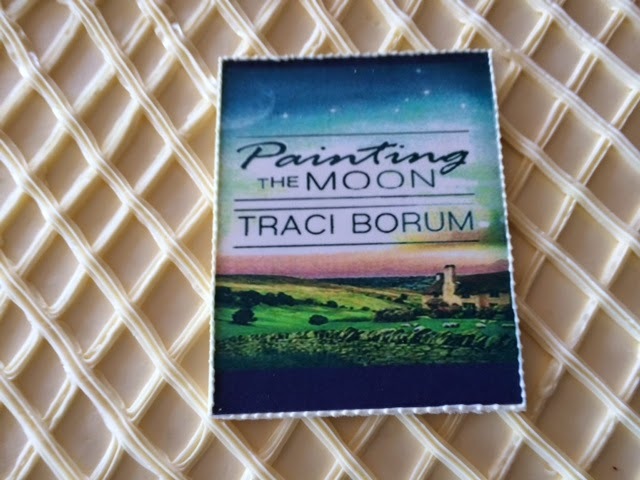 The decorators were able to scan the book cover and create an edible piece of candy on top. Isn't it pretty? The only person missing from the event was my father, who passed away ten months ago with a sudden diagnosis of brain cancer. He would've been at the party with bells on, happy for me, proud of me, supportive of me. 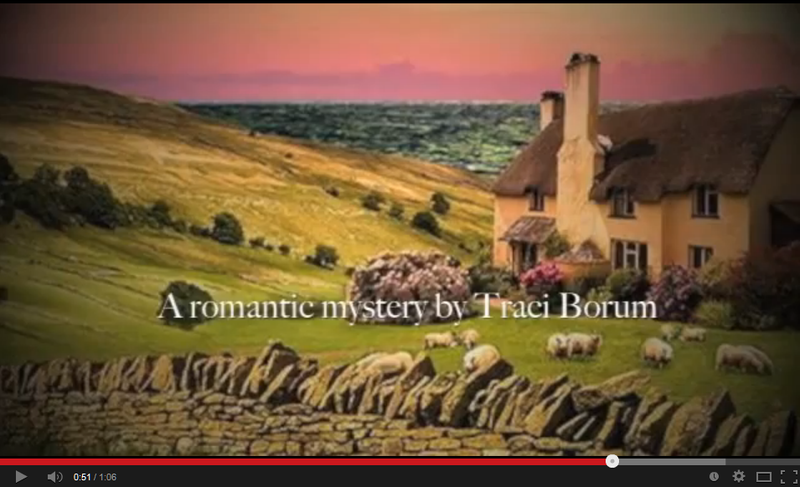 He read all three books in this series about a year before he got sick. 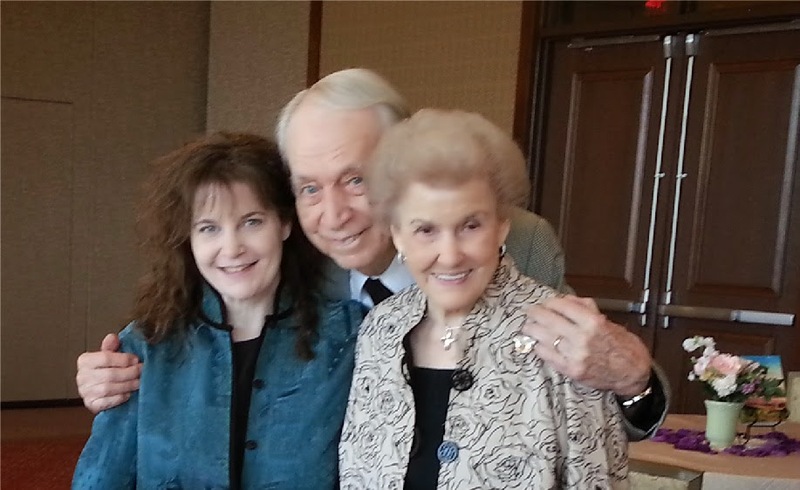 And before he passed away, he knew I had signed a contract--that I was getting published. And even though yesterday was incredibly bittersweet because of his absence, and even though I missed him so much, he was still *there,* with us. The Book Signing was perfect! There were many wonderful friends and family and lots of people we don't know - - ALL anxious to buy the book and excited to see Traci and get her autograph. Congratulations, Traci. Your book is wonderful!!! Book 2, please! Congratulations, Traci! The book signing looks wonderful. You have a lovely family. And what a cool cake! Thank you, Deb! Isn't that a neat cake? It was delicious, too! I worked with your grandfather and father in Ft. Worth and San Angelo for many years (1967-1988). They were both great Drs. and very nice guys. I just found your books and am looking forward to reading them. I know they must have been very proud of you. Thanks so much for the lovely note -- how amazing, that you knew and worked with them both. Such wonderful men. I miss them every day. 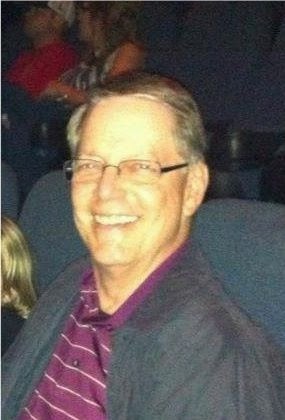 My dad read all three books in my series before he passed away in 2013. He was so supportive of my writing. He didn't get to see the books in print, but he did know that I (finally!) got a publishing contract for them. Book 2 - Under Contract!